We were excited to work with Top Of The Popz yet again on a follow up to their 2015 Promotional Music Video. The band have been working hard over the last few months building their brand and booking out their calendar and were eager to build their video portfolio. 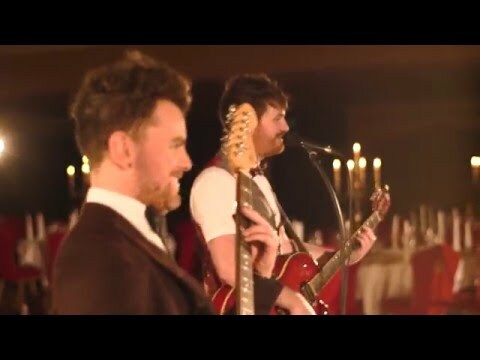 This time around they secured the amazing Kilronan Castle in County Roscommon for the video shoot. They kindly let us have the run of the huge ballroom down there which is a fantastic venue. The venue really stands out in the video and the lighting provides an evocative backdrop to the band’s sounds. Top of The Popz cover a lot of styles and genres, but we’ve been most impressed with their rock, pop and electronica offerings. Gear and lighting was once again provided by Film Equipment Hire Ireland, who always have the latest gear and always look after us. It’s safe to say these guys are going from strength to strength and are fast becoming one of Ireland’s most in demand party bands. You can catch them at one of their regular showcase gigs around the country. We’re looking forward to the chance to work with them again next year.